This is a seriously powerful filter designed to deal with seriously troubled water. If you have hydrogen sulfide (rotten egg smell) or city water with chloramines, regular carbon filters just won't get the job done. 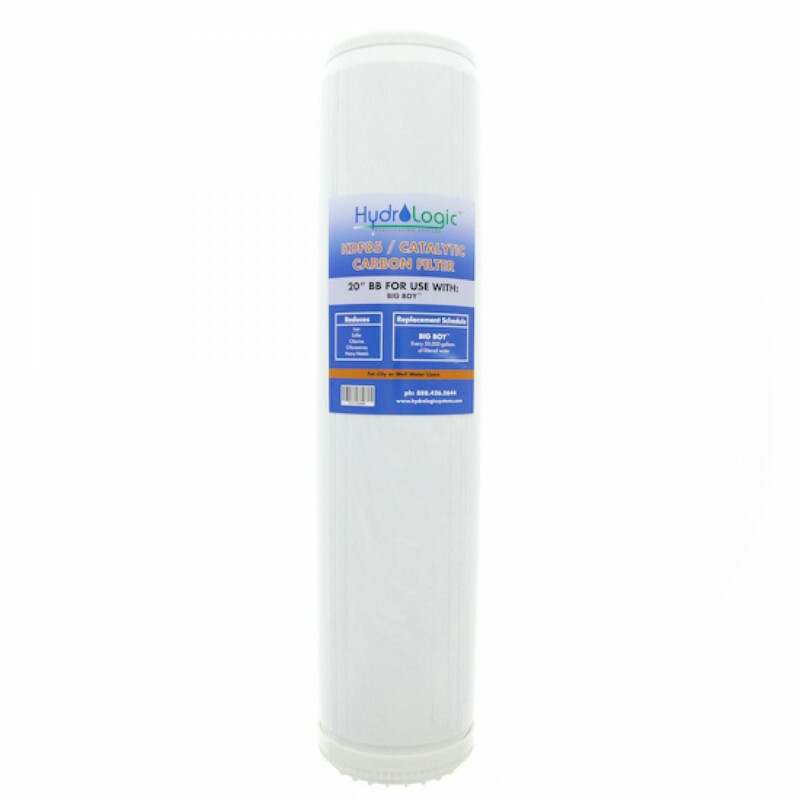 Your special circumstances call for a specialty filter like the HydroLogic 22070. This filter will drop the hammer on nearly any water problem. The HydroLogic Big Boy Replacement Carbon Filter fits industry standard size 20-inch by 4.5 inch filter housings like the HydroLogic Big Boy. The filter uses Activated Carbon Block to remove contaminants for up to 50,000 gallons. Unique KDF 85 media reduces heavy metals, hydrogen sulfide (rotten egg smell), and scale. KDF 85 is bacteriostatic, so that microorganisms will not be able to live in the filter. Catalyzed carbon reduces chlorine as well as chloramines.